Tiny Dining Room? No Worries. Maximize! If you have a traditional house with small dedicated rooms rather than a contemporary open floorplan, or making do in an apartment or duplex, you may seem stuck with a dining room smaller than you would have liked. How on earth can you comfortably entertain dinner guests when you barely have enough square feet for yourself and your stuff? We at American Furniture Galleries are fond of telling Greater Sacramento customers: when there is a will, there is a way. 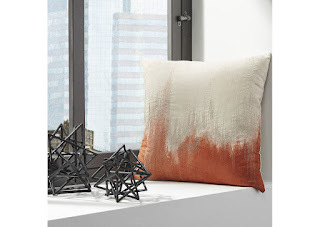 This may seem counterintuitive to amateur decorators but our designer friends swear by it. To expand your space-challenged dining room, make full use of its corners. For example, try placing upholstered dining benches along each wall of the corner, then putting a smallish round or square dining table between them. We think it lends itself to a cool café look. And if you need to accommodate extra holiday guests for your meal, no problem. Just throw in a couple of nicely appointed dining chairs. 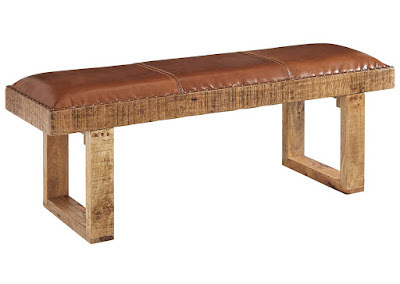 If you happen to prefer a square table, smaller dining benches or stools are in order. Now you can complete your dining room’s bistro theme or any artistic statement you like with some well-chosen accent pieces, perhaps recalling a favorite food or a regional cuisine you love, from coq au vin to pasta with pungent pecorino! Sure, France or Italy, but what about India or Thailand? The possibilities are limited only by your imagination. 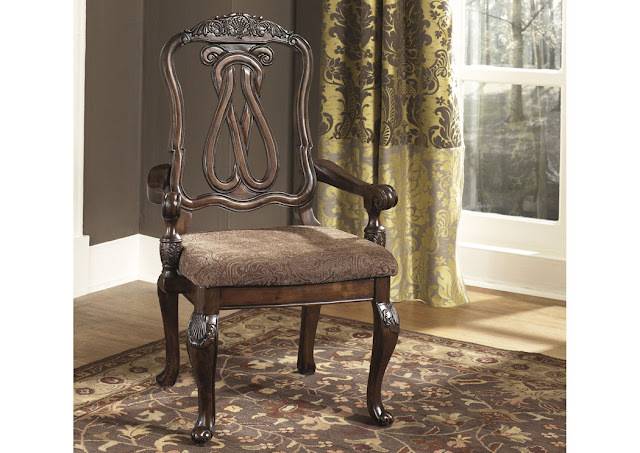 Budget is never an issue at American Furniture Galleries. Maybe your home is so cramped that normally you can’t shoehorn in a dining table. If countertop eating doesn’t suit you, here’s more free designer advice. You might recall from old movies, TV, or Grandma’s house the old fold-up Murphy beds and ironing boards. Why not be clever with your dining table that way, putting it flush against the wall when not deployed? Voilà! Table space with room for three chairs of your choice. If your kitchen happens to have a small nook off it, here’s an innovative dining room furniture solution. Make a big diner-style booth out of it! All it takes is an especially narrow dining room table and two banquettes or benches plus a side chair on the end facing out. 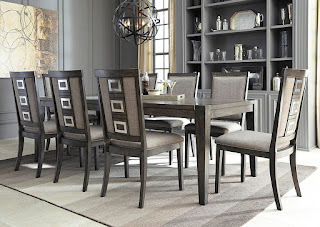 No what size space is your interior-design canvas, our Rancho Cordova, CA store and other Greater Sacramento locations have the dining room furniture you need at prices you’ll love. And if there’s any particular room that should be reviewed regularly, it’s your living room. As the hub of your day-to-day activities, your living room embodies you on those late weeknights and lazy Sunday afternoons. How you furnish this space then is about as crucial it gets, and warrants some serious thinking. Join us, as we explore our favorite pieces and collections of living room furniture—perfect for any home or apartment in Northern California. Who doesn’t have fond memories of falling asleep on a best friend’s or grandparent’s reclining sofa? 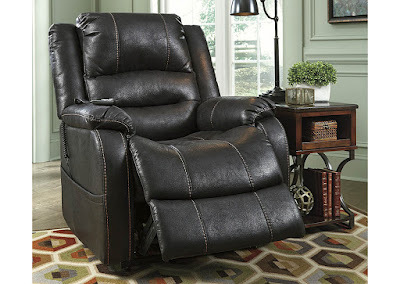 A brand new power lift recliner can be the throne of your living room, and the most comfortable seating in the house, in a style that complements the rest of your decor. 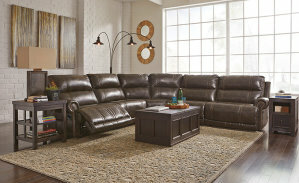 We enjoy the sensation of a leather recliner sofa, coupled with the dual motor capabilities of our latest selection. It’s amazing how much the simple touch of a button can relax you—converting your power lift recliner from slumbering station to upright upholstery in seconds. 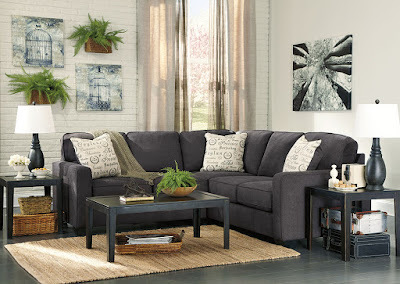 As far as versatility goes, there may be no other piece of living room upholstery quite like a sleeper sofa. 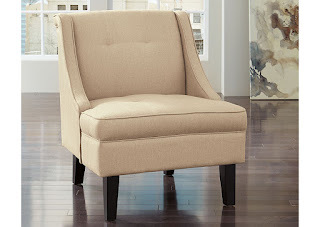 Between the softness of its cushions and the plushness of its pillow backs, this piece of upholstery gives you thoroughly comfortable living room seating, and the reassurance that you’re always ready for family or friends. After spending a few minutes on one of our queen sleeper sofas, you’ll be asking yourself how a pull-out could ever be so cozy. But recognize that living room furniture’s always evolving and American Furniture Galleries’ always on par. We can bet one thing: if you don’t already own a sectional sofa, you’ve probably flirted with the idea of purchasing one. Given how much structure a sectional sofa can bring to the living room, we don’t blame you at all. Now throw some matched vinyl and thick padded arms into the mix, and you have a piece of living room decor that no one could possibly resist. We especially like sectional sofas that can then be paired with an accent ottoman or coffee table, redefining what you can do and how you feel at home. If you ever find yourself overwhelmed by all your furnishing options, don’t sweat it. 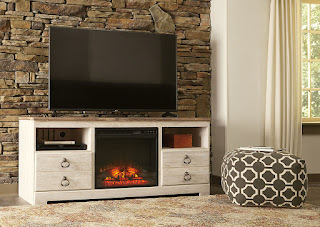 Here at American Furniture Galleries in Sacramento,CA, we’ll help you narrow down your selection, and come away with a great deal on brand-new living room decor. If there’s a cardinal rule to decorating your bedroom, it’s as short and sweet as this: have lots of options. When customers visit American Furniture Galleries in Sacramento, CA, they get that as well as our expertise and in-depth knowledge of the best brands on the market. As we see it, designing the most personal space in your home is not something you should gloss over. So without further ado, we’ll be discussing just some of the ways you can arrange the decor in your bedroom to maximize your sense of style and comfort, while respecting your wallet. It may happen that you own the softest and most luxurious mattress in existence. But if that mattress’s planted on the floor of your bedroom, what’s the point of it? You may think we’re exaggerating out of jest here, but we’re serious! The difference between a room with an upholstered platform bed and one without one is huge—both to you and your guests. By investing in a piece of bedroom decor like a poster or panel bed, you transform the look and feel of the space entirely. Instead of appearing harsh and minimalistic, your bedroom becomes calmer, more fashionable. At the end of the day, don’t we all just want to wake up feeling a bit more sleek and stylish than we did the day before? 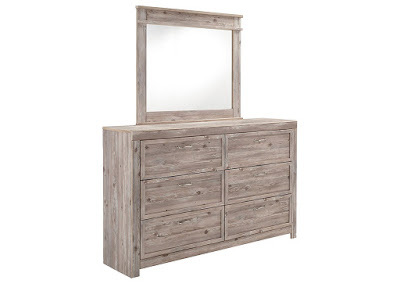 After discussing your bedframe and headboard, it only makes sense to touch on that other bedroom essential: your trusty dresser and mirror. Sure, you could hang all your clothing in your closet and call it a day, but why pass up the opportunity to decorate? A bedroom with a finely finished dresser wins itself plenty of praise; and there’s nothing quite like a modern mirror to illuminate and expand the dimensions of your space. If you’re a savvy decorator, then you probably already know the secret to concealing all the unseemly wires and cables that power your electronics. 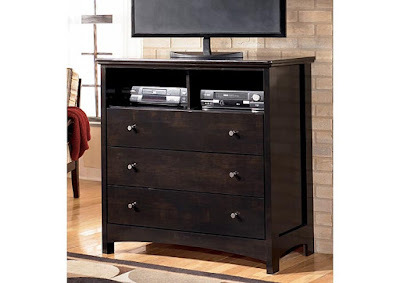 In fact, it’s as simple as purchasing a media chest for your bedroom. 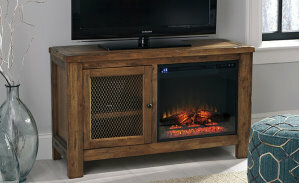 Picture it: you get another polished piece of furniture that can matches the rest of your decor, and conveniently stores your TV, audio receiver, and all your other gadgets. When you’re ready to rearrange your bedroom decor, visit any of our stores in Sacramento, CA for expert advice and a great price. Even in the age of hand-held electronic devices with streaming movies and shows, the TV room is still a main gathering place of many homes. It gives you the same immersive experience, a total escape, that going out to the movies used to, minus the rising ticket prices, the long lines at the concession stand, or the cola-and-popcorn muck on the floor! Many of you have invested a lot in the best big-screen TVs, maybe with enhanced sound and high definition. But often the question of how best to arrange this room, including entertainment furniture, is an afterthought, giving less than satisfactory results. The good news is you need not be a design-school graduate to enjoy a first-class entertainment room. Here are some quick ideas to get you started on practical, livable interior design to make your TV viewing even more of a pleasure. Got a small space? That’s why furniture designers have come up with corner TV stands. That way, even those of us with little square footage to spare can get the most out of midsize screens. Another increasingly popular approach in our era of multitasking is the opposite of the home cinema, the multipurpose TV room. 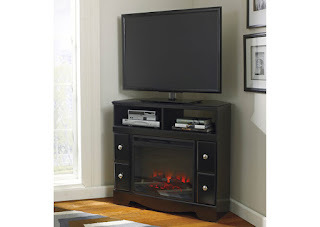 Your TV stand or entertainment console can share space with a playroom or study nook. A similar novel idea is to put the guest space with the TV and stereo by adding a sleeper sofa or even a Murphy-style bed. If you go this route, you might consider emphasizing the media area of your room through the artful use of contrast, such as subtly different colors for your TV corner. Adding a dimmer switch in a dedicated entertainment room enhances the theater effect of watching your big screen without the jarring effect of a bright TV amid total darkness. It helps you relax and “get into” the unfolding story on the tube and it’s better for your eyes! If you’ve got ample space, sometimes the best design for your entertainment room is to have the screen and other media equipment command an entire wall in an entertainment center complete with TV stand, media towers with shelves, and “bridge” on top. 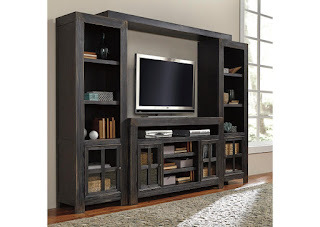 And remember, for the home entertainment furniture to get you started on the media-room design of your dreams, get it for much less at our Sacramento, CA area stores. When you are planning and buying for a child’s bedroom, you are investing in a precarious balance of function and style. Of course you’re shopping for durability because growing children are tough on furniture. 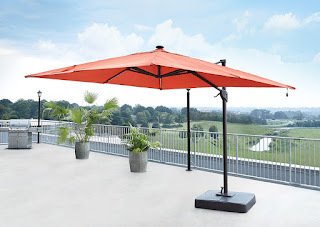 One or more rambunctious youngsters will have you spending more to replace damaged pieces well ahead of your planning. Style has several aspects. Does the style of the furniture fit your home’s architecture and your overall design vision? It should also reflect your child’s unique personality and interests, be they a favorite color, a career field that captivates them, or a beloved TV show or movie. But beware: as kids develop, an over investment in a certain theme can backfire as the child outgrows it or it just becomes unhip. Plan wisely; think long-term. The primary piece in your child’s room of course is the bed. Here, expect to spend twice, first on a sturdy twin bed, your child’s first big-kid bed. Assuming normal wear and tear—and yes, your mom was right; jumping on the bed is very bad for the mattress and for your child’s safety!—your twin bed should last as needed, just before the first great growth spurt of adolescence. As your child physically transforms into an adult, it’s time for the next big investment, a full bed. Not only is this much more comfortable for your developing teen, but this bed is great long-term for you as you can repurpose it for your guest bedroom once your youngster is living on his or her own. An answer for many grateful parents is the storage bed, solving the onerous problem of where to put away clothes and toys. Make cleaning your child’s room a breeze, so much so that your child can easily pick up and stow things below the mattress case, making the room safer and clutter-free. There are so many great options for matching furniture for your kid’s room. Of course the desk is where your boy or girl will spend much time doing homework so make sure it seats him or her comfortably. 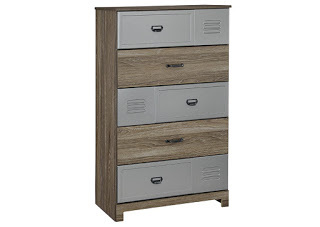 Don’t forget a handy nightstand with a lamp for bedtime reading, and a mirrored dresser is just the thing for getting ready for school in the morning. 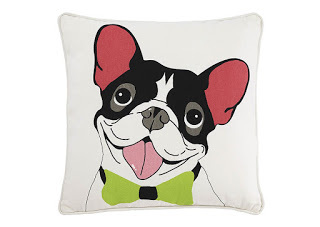 Now that you’ve got the basics down, you can customize your child’s room to fit his or her style with fun accents such as whimsical decorative pillows with everything from flowers to dogs, as well as bedding with anything from butterflies to planes to camo patterns to let your youngster’s imagination soar. Find all these great kids’ room options and more at Northern California’s choice for fantastic discount furniture, American Furniture Galleries in Sacramento, CA, and our other fine showrooms. Which Type of Mattress is Right for You? Buying a mattress is more difficult than it used to be. Once upon a time, innerspring mattresses were the only option for consumers. Nowadays, there are a wide variety of mattress types available, including memory foam mattresses, hybrid mattresses, and more. With so many different mattress types to choose from, how do you know which one is right for you? To help you navigate through the wide world of mattresses, we have created this easy-to-use product guide. Read on to learn more about the different types of mattresses we sell at American Furniture Galleries, and how each one can benefit you! People take comfort in familiarity, which is why innerspring mattresses continue to be one of the most popular mattress types on the market. Introduced in the mid-19th century, these mattresses have been a mainstay in homes for over 100 years. Each innerspring mattress features a steel spring core surrounded by soft, luxurious layers of quilting, fabric, and upholstery. One of the main reasons customers love these mattresses is their affordable price tag. 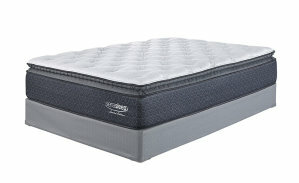 In fact, we have Queen size innerspring mattresses for sale starting at less than $300! These mattresses are a great choice for hot sleepers, because they provide fantastic temperature control and airflow, which will help you keep cool while you sleep. Believe it or not, memory foam mattresses hit the market no more than 27 years ago. 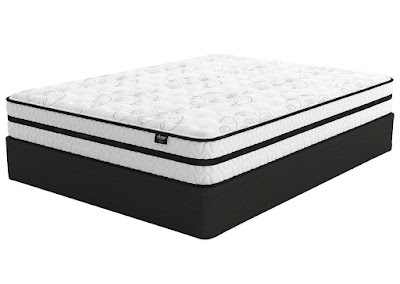 While these mattresses are still quite new to the mattress world, they continue to rise in popularity due to their superior body-contouring capabilities. Memory foam mattresses are made from a viscoelastic foam that literally hugs the contours of your body. These mattresses offer relief to your body’s key pressure points and they help promote proper spinal alignment. Memory foam mattresses are also hypoallergenic, which is a fantastic feature for allergy sufferers. Their solid foam core prevents the buildup of dust, debris, and a variety of other pesky allergens. With the benefits that both innerspring and memory foam mattresses provide, it can sometimes be hard to choose between the two. If you are a person that has a hard time making a decision, we recommend you consider one of our hybrid mattress sets. Our hybrid mattresses include steel spring coils, soft layers of upholstery, and high-density memory foam. We also have select hybrid mattresses for sale with gel-infused memory foam that will regulate your temperature while you sleep. Each one of these components work together to create a comfortable and supportive sleep surface unlike any other. Now that you’ve learned more about our different mattresses, it’s time to start shopping! 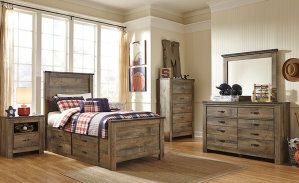 Come to American Furniture Galleries today to find all these great products and so much more. 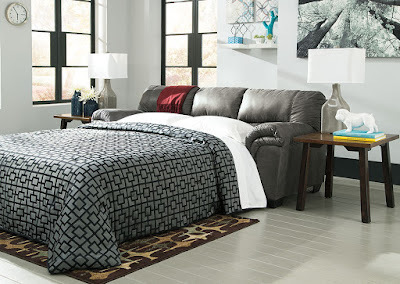 You can shop with us in Sacramento, CA or at any one of our four furniture and mattress stores in Northern California. If you’re the sort of person who likes to live on the cutting edge, in the here-and-now, with no real desire to wax nostalgic, then you likely will want a home to match your personality. After all, that is one of the primary functions of interior design—to provide your home with a display of character that matches that of the owner. And there is no better way of making this display than in your living room, where your guests first adjourn when visiting you, and where you go to unwind after the day is done. Since it is the proverbial heart of your home, it’s a good idea to make a strong impression. If contemporary living is your bread and butter, then designing a contemporary living room is practically essential. After all, you don’t want to come across as being outdated, do you? You probably already pay attention to the important style trends, but if you’re presently stumped on how to update your living room to a modern design, then read our handy guide. The main thing separating contemporary design from a traditional approach is the emphasis on angles and basic geometric shapes. You won’t find many organic shapes or busy patterns in the modern living room. Instead, it will be dominated by rectangles, squares, circles, and graceful curves. Contemporary living room furniture is also not sharp—you won’t find many shapes with fewer or more than four sides. Contemporary color schemes are all about keeping things neutral. 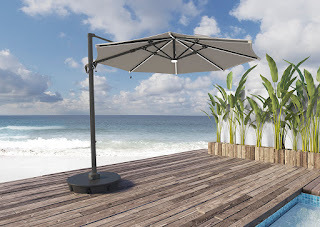 The interior designers of today are in favor of white, beige, grey, charcoal, and black on the walls, flooring, and even in your focalizing furniture pieces. By maintaining a mostly neutral living room, you then have total freedom for adding color with accent pieces and decorations. For example, a contemporary living room chair in red will pop nicely against a room otherwise dominated by gunmetal gray and white. Keep things interesting by mixing two armchairs in different styles while maintaining the red, for a truly contemporary, devil-may-care attitude. Thankfully, the neutral boxiness is only the base layer of your contemporary living room. 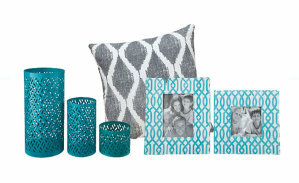 From here, you can get truly creative and colorful with the addition of living room accents. The first place you should start is the floor, and lay down a rug or carpet that adds color and depth. In sticking with the example of the red chairs, a large maroon shag carpet or a rug made of red faux animal skin would complement the accent chairs nicely. To properly display it, consider a coffee table made of glass so as to make the rug a statement piece, rather than something hidden by your living room furniture. Rose colored ottomans for the living room would also be a nice touch. 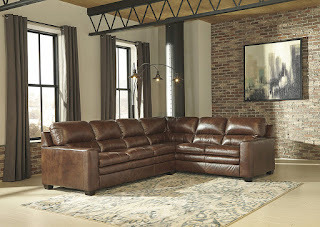 To bring your living room into the present, be sure to shop our collection of contemporary living room furniture, here at American Furniture Galleries. Visit our furniture showroom in Rancho Cordova, CA to browse all of our contemporary sectionals, armchairs, and occasional tables today. Choosing a dining room table can be tricky. With sometimes hundreds of products to choose from, how do you know which one is right for you? When comparing dining room tables, people often focus on the table style or materials, not realizing that the shape of the table is just as important. The shape of your dining table can have a significant impact on the comfort of your guests, as well as the overall atmosphere of your dining room. Once you learn about the characteristics and benefits of each table shape, you can better determine which one is the best fit for your home. 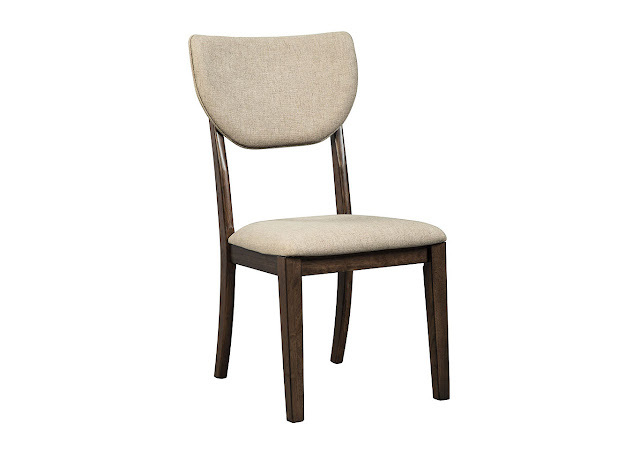 Rectangular tables are the most traditional choice when it comes to dining room furniture. 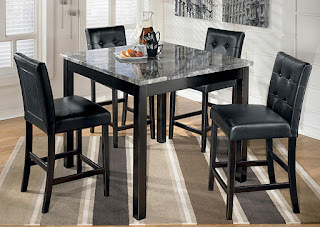 Since most dining rooms are rectangular in shape, these tables will perfectly complement most spaces. These long, narrow dining tables are perfect for family gatherings and holiday entertaining, as they can comfortably seat a large group of diners without making them feel crowded. 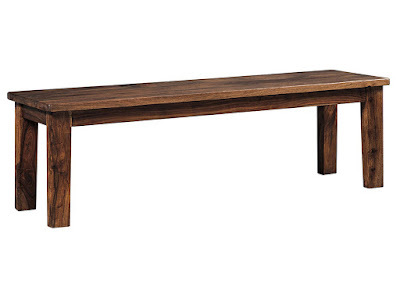 Worried that a rectangular dining table may take up too much space? Keep in mind that a rectangular dining table can be paired with virtually any type of seating, including not only high back chairs, but also space-saving counter stools and dining benches. 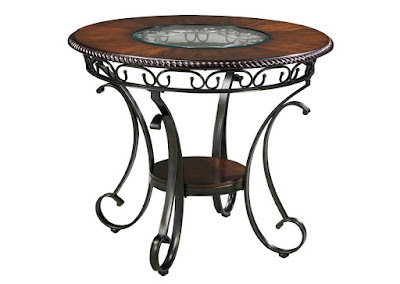 Round dining tables are well suited for smaller dining spaces. 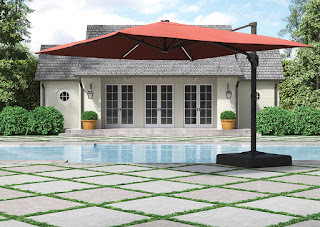 Their fluid design allows them to fit in formal dining rooms as well as cozy kitchen nooks. Unlike rectangular dining tables, which can make it difficult for all guests to interact with one another, round dining tables create an intimate atmosphere that promotes conversation among diners. While round and rectangular dining tables are on opposite ends of the spectrum, square dining room tables present a happy medium. Even though they are more intimate than rectangular dining tables, they generally have more room in the center for placing shared dishes and servingware. Square dining tables can also fit nicely in smaller homes, because they can be neatly tucked into a room corner when space needs to be conserved. 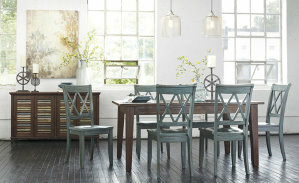 Are you ready to purchase a new dining room table? 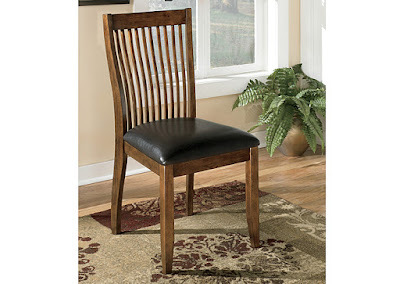 At American Furniture Galleries, you will find affordable dining room tables in all shapes and sizes. 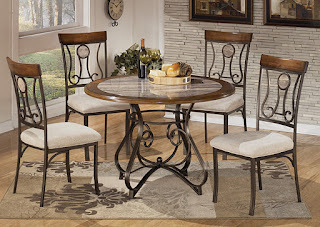 To browse our complete dining room furniture collection, visit us in Rancho Cordova, CA or any one of our four furniture showrooms in Northern California.